Brennan Lee Mulligan and Molly Ostertag have been working on Strong Female Protagonist since 2012. As the title suggests, the comic has a heavy feminist bent, but it never struck me as an over-powering one, just some really solid characterization with a lot of three-dimensional heroes. Derek Royal and I discussed it in depth over at Comics Alternative back in 2015, and we both liked it a lot. And evidently a lot of other people do too. 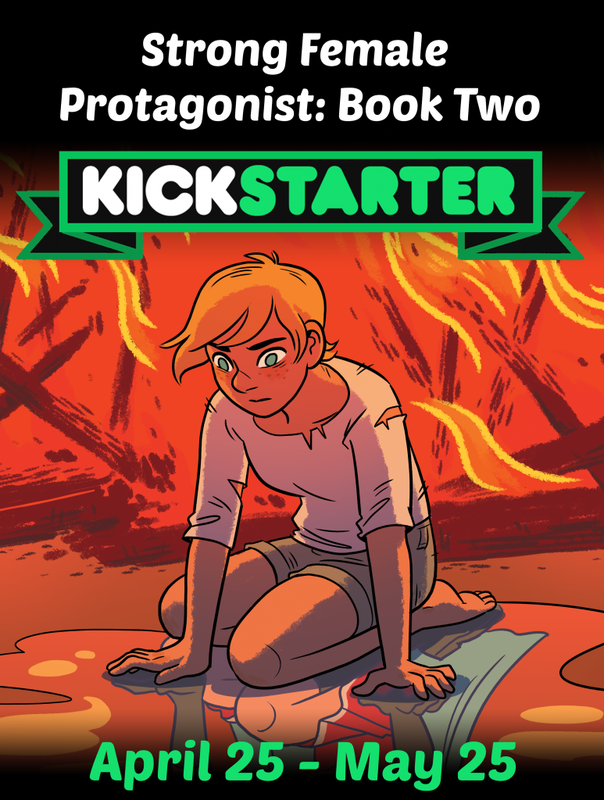 They launched a Kickstarter for the second book earlier this week, and blew past their $12,000 goal inside of one day. As of this writing, barely two days into the campaign, they're at nearly three times that amount. This isn't a huge surprise, really. 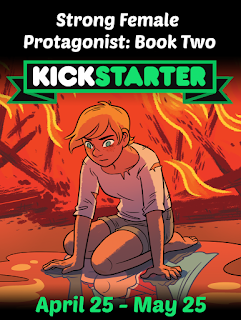 Their Kickstarter for book one back in 2014 was funded in nine hours, and ultimately brought in a little shy of eight times their $8,000 goal. Clearly there's a desire for this material. So let's see... we've got a story about this superheroine. But she's not just saving people from burning buildings and nabbing bad guys, she's got a strong social justice warrior streak to her. The story has frank discussions about body shaming and other forms of discrimination. It's basically the storified embodiment of all those liberal ideals that conservatives seem to be railing against these days. But the real beauty of this is that the execution is brilliant as well. It's not just someone spouting off feminist ideologies or something; everything is organic to the story. It's not preachy, it doesn't hold up conservative straw men just to knock them down; the whole thing is essentially: here's where all these liberal ideas might take us. (Wrapped up with some superhero window dressing.) And all these ideas don't take us to some perfect Utopia, but it basically shows that they're good ideas. Not just "good" as in "useful" or "beneficial" but "good" as in "ethical" and "just." And that's all presented with great writing and great art makes it that much more enjoyable to boot. There was a meme floating around a few weeks back about "This is the future liberals want." While there were a lot of jokes circulating with that, Strong Female Protagonist really does unironically embody the future liberals want and damn if it doesn't look fantastic! Will we ever get a society that progresses the way it does in SFP? It sure as hell doesn't look like it these days, which is all the more reason to check their Kickstarter out and see where we could go!